United Nations International Youth Day happens every year on the 12th of August with the aim of highlighting and addressing issues facing the world’s youth – and if you’re a uni student there’s a pretty good chance that includes you. The theme of International Youth Day 2014 is ‘Mental Health Matters’, to draw awareness to the importance of reducing stigma surrounding youth with mental health conditions. Help raise awareness and reduce the shame by jumping on facebook, twitter, pinterest and instagram. 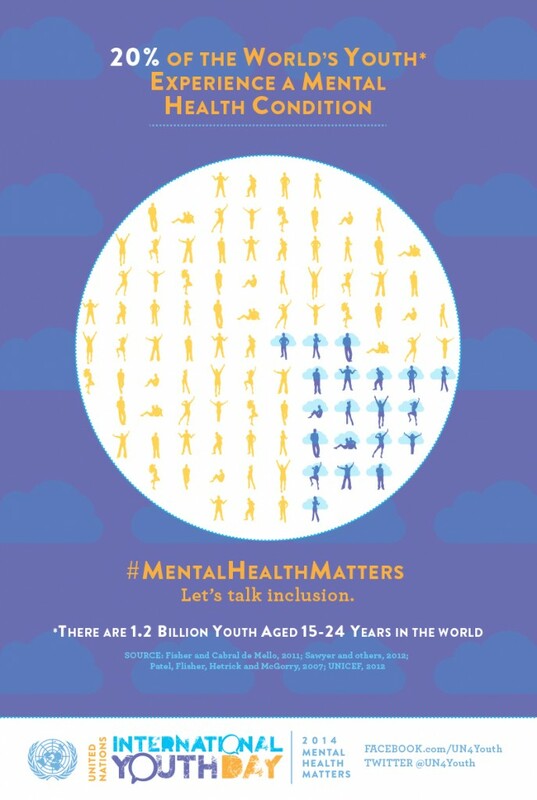 Use the hashtags #MentalHealthMatters and #UN4Youth to join the campaign! And most importantly, if you’re struggling don’t be afraid to ask for help. Uni can be stressful for everyone but if you’re experiencing mental health difficulties there are people who can help. You don’t need to tough it out alone, get in touch with QUT Counselling Services for a private and confidential counselling session.